How can America reduce its dependence on foreign oil, increase its energy security and create hundreds of thousands of green jobs? 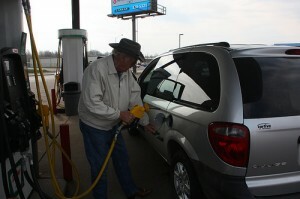 The answer is the Renewable Fuel Standard which has accomplished all of those feats in the matter of five short years. A recent report from the EIA in May 2011 showed that the United States dependence on foreign oil fell from 60.3% in 2005 to 49.3% in 2010, 11% in just five years after implementing the RFS. In that same time, American ethanol production rose from 230,000 barrels per day to 779,000 barrels per day. In 2010, using just 3% of the worlds grain, the United States produced more than 13 billion gallons of ethanol which displaced the need for 445 million barrels of imported oil. More than the total imported amount from Saudi Arabia. To produce that home grown energy, the industry needs skilled workers and lots of them. There is an estimated 400,000 direct and indirect employees in the ethanol business, good-paying jobs in rural America that will never be exported. Estimates from the Renewable Fuels Association show that 70,000 industry jobs were added in 2010. The RFS is putting educated Americans to work, producing clean, domestic energy and weaning a country off of a dangerous addiction to dirty, foreign oil. The Renewable Fuel Standard is not just working in the United States, it’s thriving. This entry was posted in Education, News and tagged corn, economy, energy security, ethanol, foreign oil, jobs, Renewable Fuel Standard, RFS, South Dakota.